This year we’ve let the garden grow a bit longer than we usually do. Often by this time of year we’ve gathered about all we are going to get and about all that we can handle. That was the case about a month ago when I begged a neighbor to take tomatoes from us. We’d picked and canned and ate so much and just didn’t want to mess with any more, so we unloaded about 5 to 10 pounds of tomatoes on her. Tomatoes are plentiful like kittens, but much easier to find homes for! By now, we’ve often pulled up the plants and cleared the garden. Last year I remember moving potted plants into the garden and adding pumpkins for a fun fall look. This year, the tomato plants and pepper plants are still growing! The tomato plants bloomed again and started producing a few smaller tomatoes, but I doubt they will ripen before the first frost. But the pepper plants are a different story. The banana pepper plants have still been producing peppers for weeks, even after we unloaded a few dozen on our neighbor who took the tomatoes. I wasn’t sure what to do with them so I let them continue to ripen on the vine for a while and then picked them a week ago. 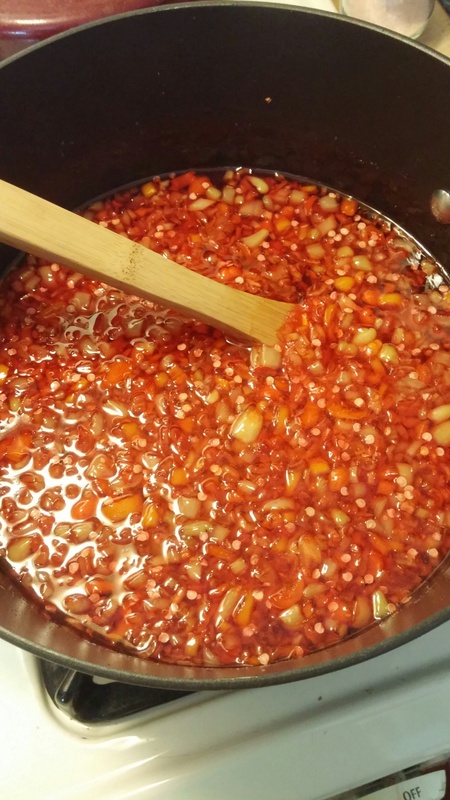 I started searching Pinterest for some canning ideas and found several recipes for pepper jelly and pepper relish. 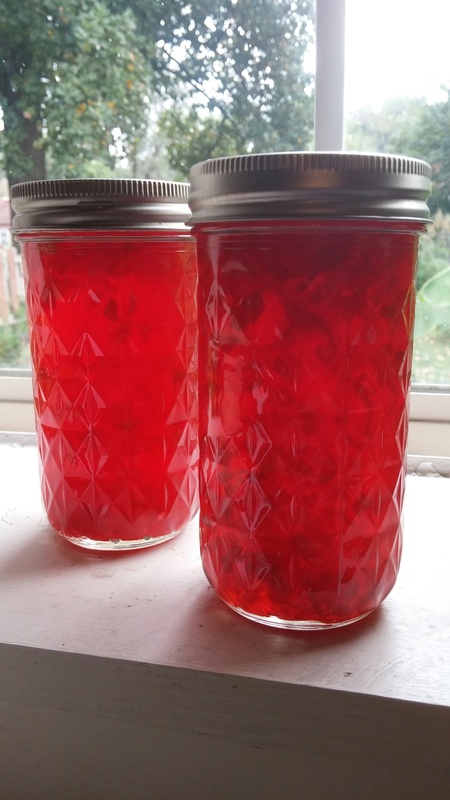 I didn’t know if I would use the relish since I made quite a bit of pickle relish this year, so I decided to give the jelly a try. Several peppers – some used only two, some used a dozen, some measured by cups. I’ll explain what I did in a bit. 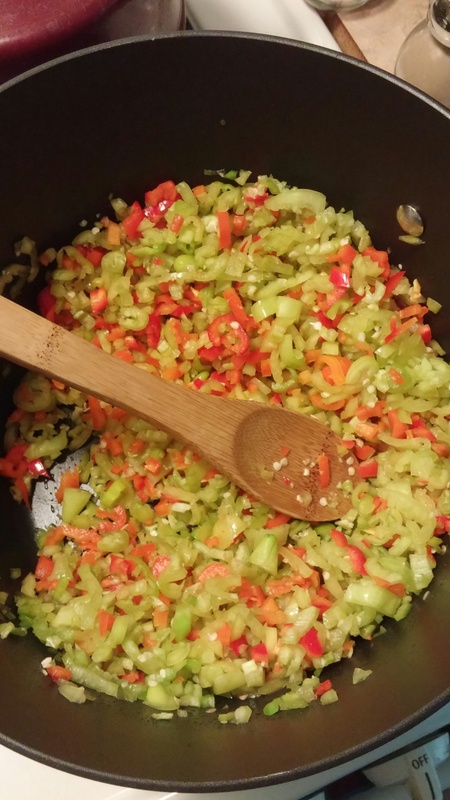 One recipe only used 1 green bell pepper and 1 red bell pepper. Others said 3 cups of diced peppers and included bell peppers, jalapenos, and banana peppers together. I decided I was going to use all of my banana peppers which were about two dozen, maybe a few more. I also had half of a small bag of sweet red and orange peppers that I had bought recently for salads so I threw them in too for color. We don’t grow jalapenos but I’d be open to trying those sometime in the jelly. All the peppers I used are pictured above. I wanted to spice it up a bit though. I remembered I had bought 3 boxes of red hot candies last year that I intended to use in a jam or spiced pear recipe but I never did. So, I decided now was the time to experiment with them. But first, I diced all of the peppers and added them to a large pot. I left the seeds in too. Then I added the 6 cups of sugar and 1.5 cups of white vinegar to the peppers. I stirred them and turned them on low heat. While the peppers were heating up, I poured the red hots into a small pot with one cup of water and turned it on low heat. As the water comes to a slow boil, it turns red as the candy starts to melt. I stirred the candy with a wooden spoon until it started to clump and turn white. (You’ll want to remove this gummy leftover residue immediately or it will stick to the pan like cement!) The leftover water tastes just like the candy – a warm cinnamon flavor. So I poured the red water in with the peppers and gave it a stir. Now, I know what you are thinking. Red hot candy and peppers?! Gross! Nope, it turned out quite nice. 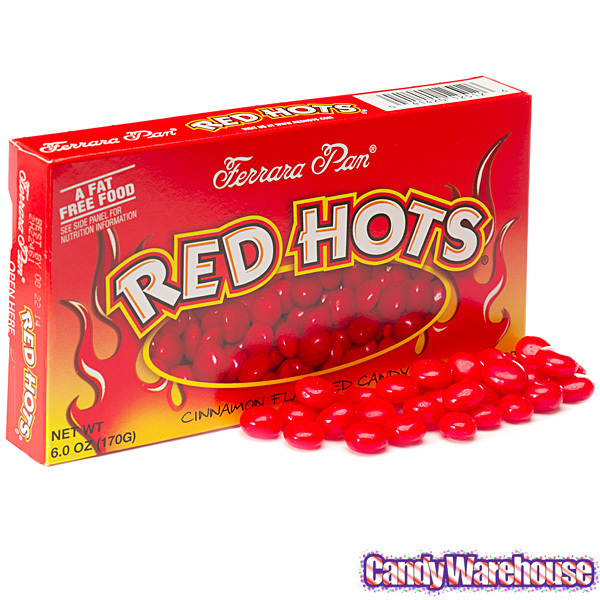 It had a bit of tang from the vinegar, the sweetness from the sugar, and a nice kick of flavor from the red hots that wasn’t too hot at all actually. Southerners love things that are tangy and sweet. Ever heard of a Koolickle? This recipe reminded me of them. I stirred the mixture just until it came to a slow boil. Then I added the two packs of liquid pectin and stirred it for another ten minutes or so just barely letting it come to a rolling boil. Then I canned it and processed it for about twenty minutes in my water canner. Now, here is the only problem I ran into. The liquid pectin did not work as well as I had expected. The jelly was still runny, even two days later. It just didn’t gel to the consistency I had expected. A lot of people eat pepper jelly spread over a block of cream cheese and the runny texture is probably okay for that, but I wanted something a bit more firm. So I had to open all of my jars and recook the jelly. Remember you can reuse the rims but you can reuse the lids of the jars. I added a few teaspoons of my powdered fruit pectin. After canning it again and letting it sit, it turned out much thicker. So I probably won’t ever use the liquid pectin again. As you can see from this last picture, it has a beautiful Christmas-y red color. I’m looking forward to trying it over cream cheese when my family comes for a visit this weekend. And if they like it too, I’m sure I’ll let them take a jar home. And this is definitely a recipe I’d make again just to put a surplus of peppers to good use!